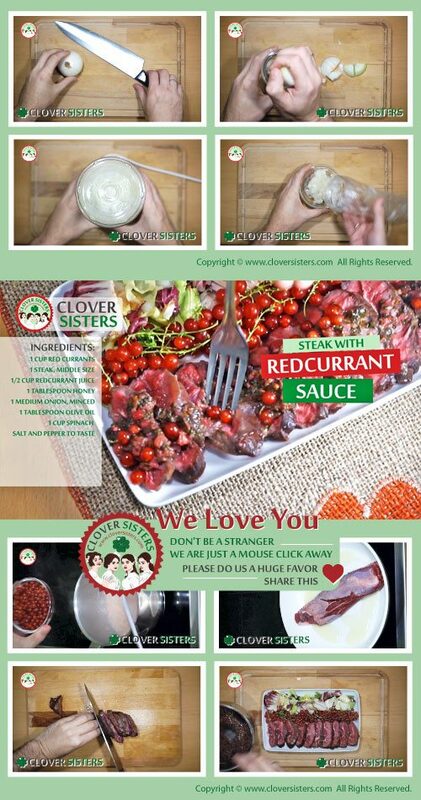 This delicious savory sauce brings so many lovely tastes to your favorite steak. Sweet currants, and lovely salad in combination with strong taste of steak will indulge all of your senses. Sauté the onions on olive oil then add the honey, red currants, redcurrant juice, spinach and season to taste. 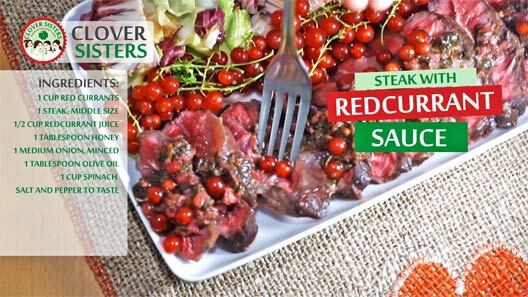 Pour over the sliced steak and serve with fresh red currants and fresh salad.